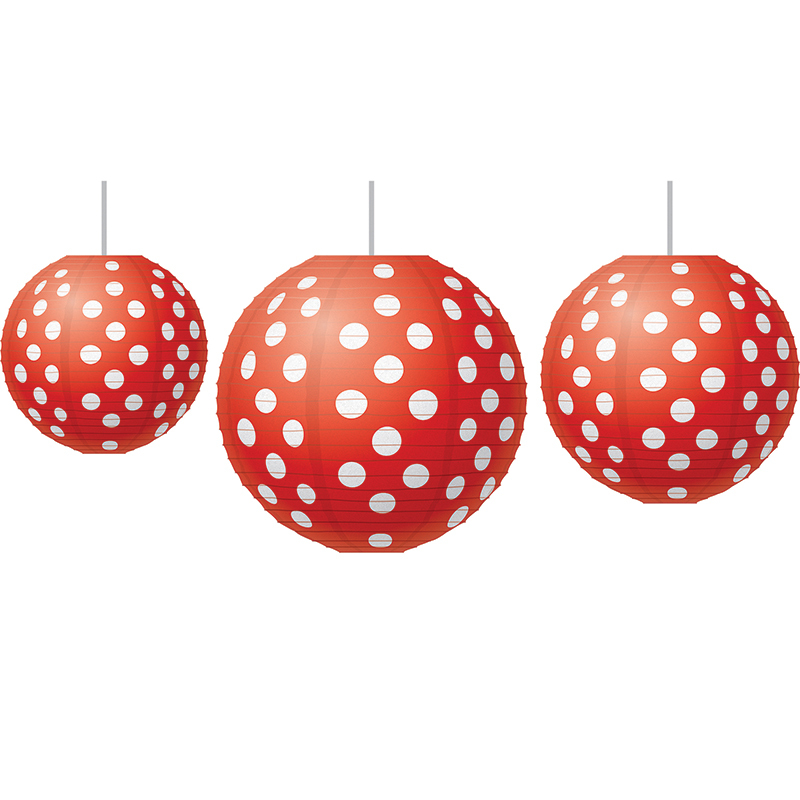 These chic paper lanterns are great for adding a splash of color into your classroom. Coordinate with similar patterned decoratives and popular color schemes to create the perfect look. Use them to fill up unused corners, hang accents off of them to organize work areas, or make a fun, inviting space for kids to learn. Each pack includes three lanterns. Measures approx. 8", 10", and 12".